I spent some time this week making quilt blocks. A few for my bees. I started my very first Dresden plate block as well, but it's not ready to show yet. And I made 4 of these blocks. The others were made a few (or more) months ago. My husband's grandfather passed away 2 1/2 years ago and I offered to make a quilt from his shirts for Grandma M. I've been preoccupied with other things for a while but this project has finally made it to the top of my list again! I hope she will like this; I've been afraid that it might be a little too modern or not traditional enough for her tastes, but I think I'm sticking with it anyway. I will probably look for a nice dark red (and traditional) floral for the back though, which seems like it might be just her thing. I'm linking up at Sew & Tell Fridays, go check out all the cool things people have made this week! I love the blocks, especially the one made out of the Halloween print. The shirt quilt will be beautiful. I know that you think that it might be too modern, but it really showcases each shirt. Ooh! love all of these! 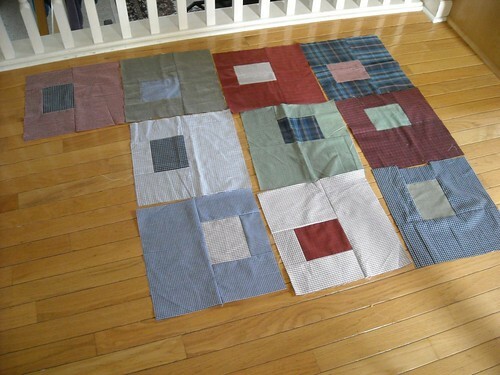 That shirt quilt is awesome, IMHO quite traditional with just that touch of modern! 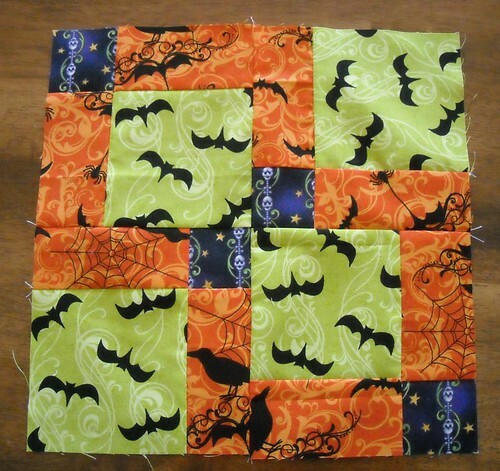 I really love your Drunkard's Path blocks and your Halloween quilt block is adorable. Also, I think that is a very nice thing to do with your grandfather's shirts. That will be a lovely quilt when it is finished. Love those circle blocks and the Halloween ones are so fun. I am sure your Grandmother will love her memory quilt made especially by you! I think a floral will give a beautiful contrast. Great blocks. Thanks for sharing. I think your grandma will surprise you. 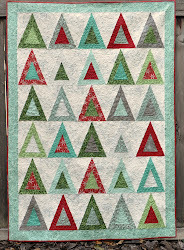 This is a really cool quilt and has some precious memories in it. She will love it- bet she cries when you give it to her! Those blocks for your grandmother look great! I think the fabrics make it just traditional enough. She will probably LOVE it. Can't wait to see it all done and hear about her reaction! Oh I love the quilt you're making for your granmother. What a sweet idea. She's going to love because it is a piece of him. The design is cool too! 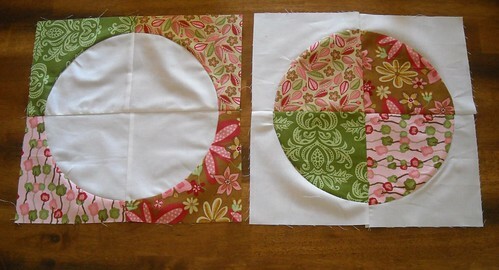 Great quilt that you're making from you Grandfather's shirts...I think the floral back is a very thoughtful idea. Great set of blocks. I loove the circles with woodland bloom! spooky quilt contest--vote for me, please!